Taxonomy is a feature to group content like posts, links in a structured way. For example, category and tag are the inbuilt taxonomies in WordPress to group posts. The category is a hierarchical taxonomy and the tag is an example of non-hierarchical taxonomy. 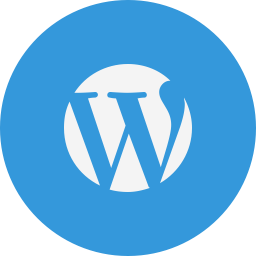 WordPress allows us to create custom taxonomies. It can be either hierarchical or non-hierarchical. It is introduced in version 2.3. 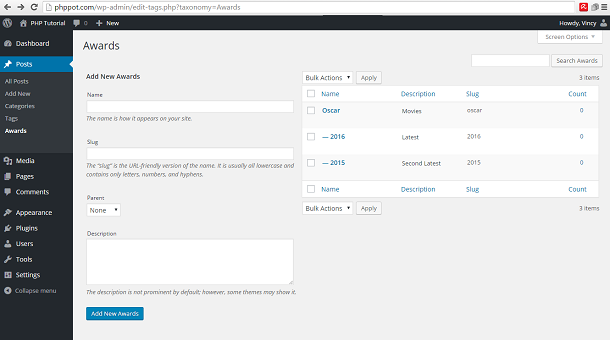 Here we are going to see how to create a custom taxonomy in WordPress. By using this menu, we can navigate to the page to add new terms to this custom taxonomy. This screenshot shows the page to manage custom taxonomy terms.